Burn Accidents are governed by the general principles of negligence and premises liability previously set forth and the damages are governed by the personal injury damages section on this site. Each year many people get burned due to the negligence of another. 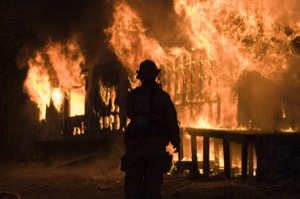 Burn Accidents can fall under the laws of workers compensation or under the general principles of negligence. Some common causes of burn accidents are vehicle or truck accidents, fires, explosions, electrocution, hot water or cooking liquid. Patients must seek immediate specialized medical attention at the local burn center. Patients with severe burns will often require extensive medical care and lose substantial time from work. Accidents involving burn injuries can be particularly devastating. They can cause death, severe scarring, pain, emotional upset and psychological injury. Explosions, house fires, automobile fires, electrocutions or products that cause fire virtually always result in catastrophic injury. Other types of burns include sunburn, radiation burn, branding iron burns, chemical burns, friction burns. Often, future scar revision surgery does little but improve the visual effect of the scar that has resulted from a burn. Burn injuries can range from scalding by hot water fluids or gases to cold burns where the skin is contacted by something with extremely low temperature. The scald time for burn injuries depends on the length of time the body is exposed to the catalyst for the burn. Often, it only takes seconds for serious injury to result. Burn injuries are classified by seriousness of the burn. For example, a first degree burn is usually just accompanied by redness or minor pain around the area of the burn. Second degree burns usually blister, involve pain and often discharge clear fluid. Third degree burns usually involve charring of the skin and produce hard, leather eschar. These often have purple fluid and there can be little or no sensation since the nerve endings have been permanently damaged. Any time a serious burn covers a large area of the body it can lead to death. An injured person needs to be particularly careful if smoke inhalation accompanies a burn injury as this is considered an immediate medical emergency. Burn injuries are usually assessed in terms of total body surface area. The rule of nines is used by burn doctors to estimate the total body surface area of the burn. It ranges from 1% - 18% for each body part depending on if the victim is an adult or child. Treatment of the burn must be immediate and careful. Obviously the burn must first be stopped and inhalation secured. Thereafter, doctors usually rely on what is known as the Parkland formula to determine the proper amount of lactate ringers that should be provided to the injured party initially. An experienced personal injury burn accident attorney will be able to present your burn injury case in such a way to maximize your recovery. The seriousness of the burn injuries, the likelihood of future scar revision, the cost of further surgery and the permanent injury all impact on the value of any burn injury case. If you are a victim of a burn injury where someone negligently did something or failed to do something they should have done to prevent such injury, please give one of our experienced burn accident lawyers a call and we will be pleased to assist you with your claim. The legal information on this site is not intended to be legal advice. Contact one of our experienced burn accident attorneys or lawyers today to get specific information and answers for your specific situation.